Keep All of Their German Reference Materials in One Location! 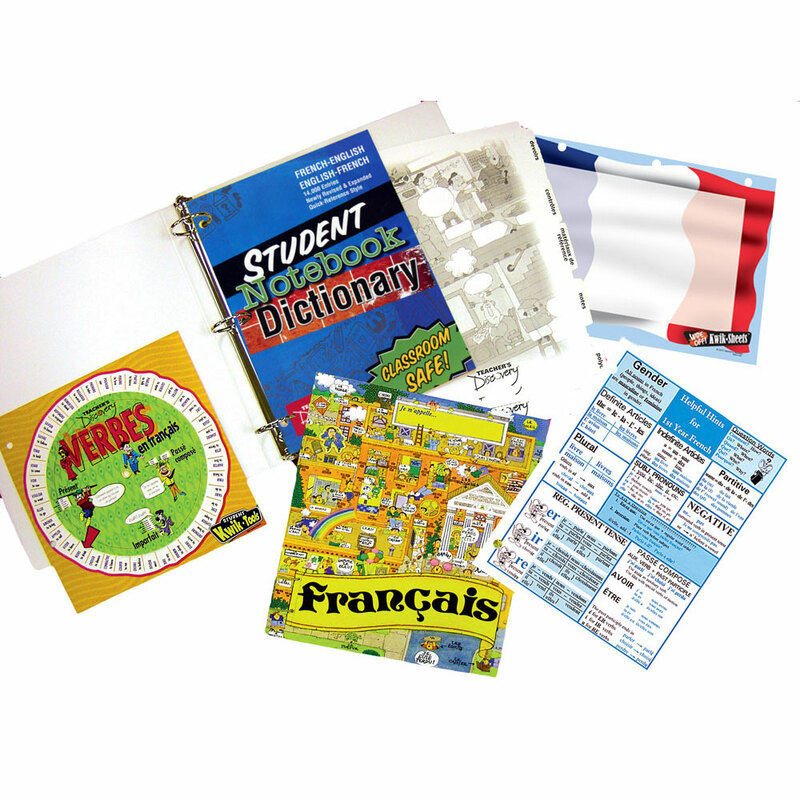 This binder comes with everything your students need to succeed in German class—all in one place! 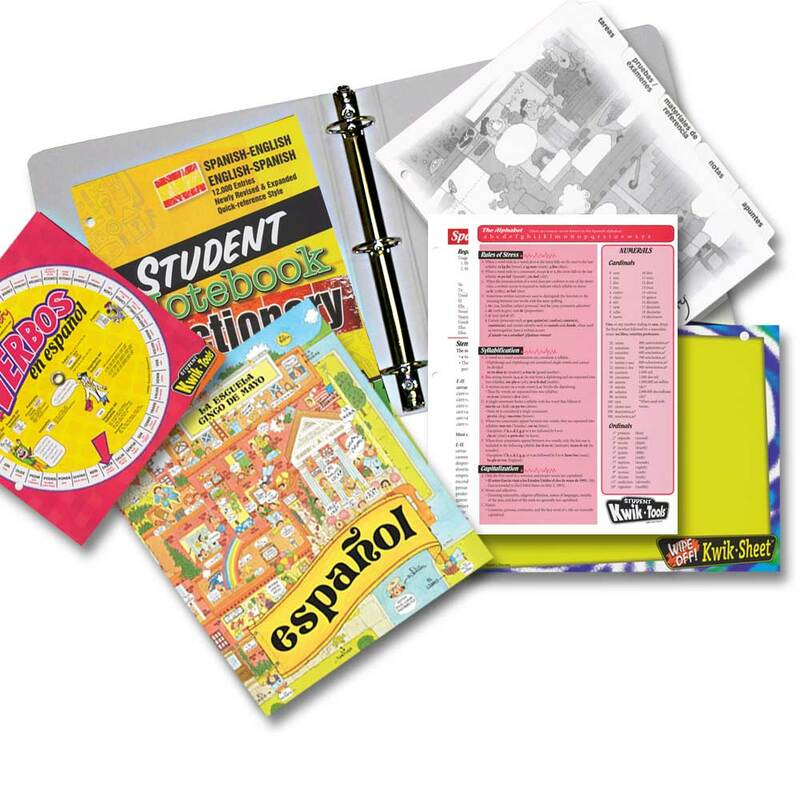 Each binder includes: colorful cover, five dividers (labeled for handouts, assignments, tests and quizzes, reference materials and miscellaneous material), student notebook dictionary (32 pages), wipe-off Kwik™ sheet, verb wheel, and grammar card. All items are three-hole punched and neatly organized. They keep your handouts and their notes together for easy reference. You know they have all the tools they need to do, so no more excuses! German. Middle School, High School. 2-inch binder, 11 x 11 inches.